1After two days was the feast of the passover, and of unleavened bread: and the chief priests and the scribes sought how they might take him by craft, and put him to death. 2 But they said, Not on the feast day, lest there be an uproar of the people (KJV). 4Surely he hath borne our griefs, and carried our sorrows; yet we did esteem him stricken, smitten of God, and afflicted. 5But he was wounded for our transgressions, he was bruised for our iniquities; the chastisement of our peace was upon him; and with his stripes we are healed. 6All we like sheep have gone astray; we have turned every one to his own way; and Jehovah hath laid on him the iniquity of us all (ASV, 1901). The events in Mark’s narration let us know that this point in time was two days prior to the feast of Passover. One point of differentiation that is important to understand is the two systems of counting time. Roman and Jewish reckoning started the day at different times. The Jews began the day at sunset and the Romans at midnight, which is what is in use throughout most of the world today. This difference in starting the day is somewhat complicating in evaluating the principle events of Passover week linking them one to another. Mark’s use of time is observing the Jewish reckoning. Modern precision of reckoning the time of day make it difficult to read back into the gospel accounts, written at a time when no standardization of timepieces, or exactness in recording of hours and minutes was available. The difference between Roman and Jewish days as well as modern time precision render the slight difference between time calculation of the events of Passion week understandable. In accordance with this the Jews celebrated the Passover, which was one of the three pilgrim festivals wherein all Jewish males were required to attend. As a result there were thousands of Jews in Jerusalem at this time from all over the Roman Empire to comply with the Law. The normal population of Jerusalem was about 50,000 and during Passover week it would swell to more that 250,000. 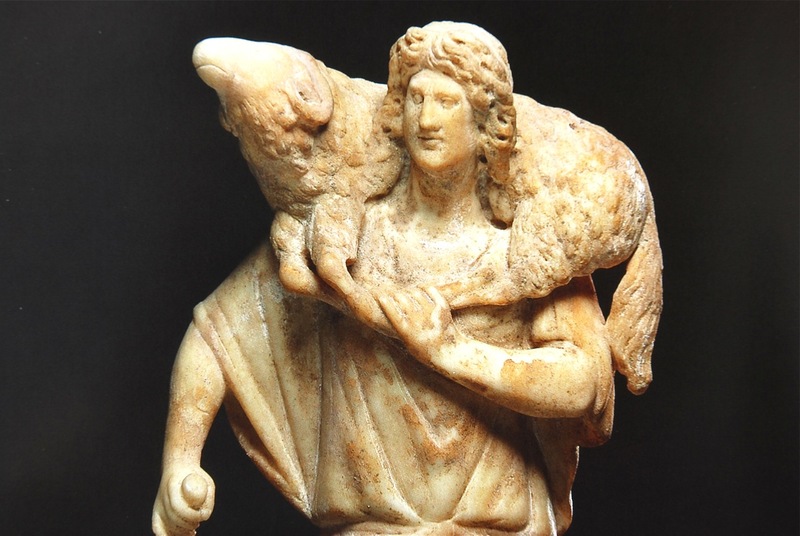 The unblemished lamb or goat to be eaten was killed on the afternoon of the 14th of Nisan and would be eaten after sundown, which began the Jewish new day of the 15th of Nisan. No work was to be done on either the 14th or the 15th. The day that Mark refers to is probably Monday or Tuesday of Passion week. The Scribes and Pharisees of the Sanhedrin had decided to kill Jesus. 47The chief priests therefore and the Pharisees gathered a council, and said, What do we? for this man doeth many signs. 48If we let him thus alone, all men will believe on him: and the Romans will come and take away both our place and our nation. 49But a certain one of them, Caiaphas, being high priest that year, said unto them, Ye know nothing at all, 50nor do ye take account that it is expedient for you that one man should die for the people, and that the whole nation perish not. 51Now this he said not of himself: but, being high priest that year, he prophesied that Jesus should die for the nation; 52and not for the nation only, but that he might also gather together into one the children of God that are scattered abroad. 53So from that day forth they took counsel that they might put him to death (ASV, 1901). They were fearful that all people who believed on Jesus and followed Him would riot if He were unjustly killed. This then would cause them to lose their powerful political position with the Romans perhaps even losing their meager remnants of their sovereignty. They met in an emergency session to plot Jesus’ death. Their political position with Rome was precarious at best. Their present course of action had been to disapprove of Jesus, seek to excommunicate Him and engage in blasphemous teaching countering Jesus truthful exposition of the Scriptures. It was simply not working as thousands of people continued to follow Him and sought His miraculous healing and clear teaching. Not only did they fear Rome taking away their Temple and their nation but also they knew the people would riot if they openly killed Him without a just cause. This would also bring the wrath of Rome quickly upon them as soldiers came to quell the rioting citizens. Caiaphas the High Priest had been appointed by the Romans and was in the office from A.D 18 to 36. It was his decision to sacrifice Jesus had to take place in order to preserve Rome’s favor. He viewed the other Sanhedrin members as ignorant. In offering his direction in killing Jesus he was arguing that the ends justified the means. He stated that if a person were regarded as worthless then that person could be sacrificed for the common good and even handed over to the hostile Gentiles. Otherwise such an act should have been contrary to Jewish principles. This was the crafty manner they decided to utilize in defending their plan to kill Him. So Caiaphas authorized the killing of Jesus not realizing that it was God the Father directing him to sacrifice Jesus for the sins of the world. 10 And Judas Iscariot, one of the twelve, went unto the chief priests, to betray him unto them. 11 And when they heard it, they were glad, and promised to give him money. And he sought how he might conveniently betray him (KJV). Mark reports with remarkable restraint the unspeakable treason that Judas showed toward Jesus. As Judas approached the chief priests they were delighted to find an accomplice within Jesus circle of followers to betray Him. This was an answer to their question of how to charge Him. Determining the motive behind Judas’ betrayal of Jesus is an age-old question. It is quite likely that Judas expected Jesus to establish the Messianic Kingdom during His lifetime. When Mary broke the bottle of perfume and anointed Jesus for His death he realized that this would not occur. He might have been looking for a position in the new government and now realized that the Kingdom Jesus spoke of was Spiritual not physical at that time. In his greed and love for money he decided that the best course of action was to sell the opportunity to the chief priests so they could capture Jesus. One way to detect evil in any matter is to ask who profits from it financially, and Judas profited from the betrayal. So if we follow the money we can see Judas’ motive. 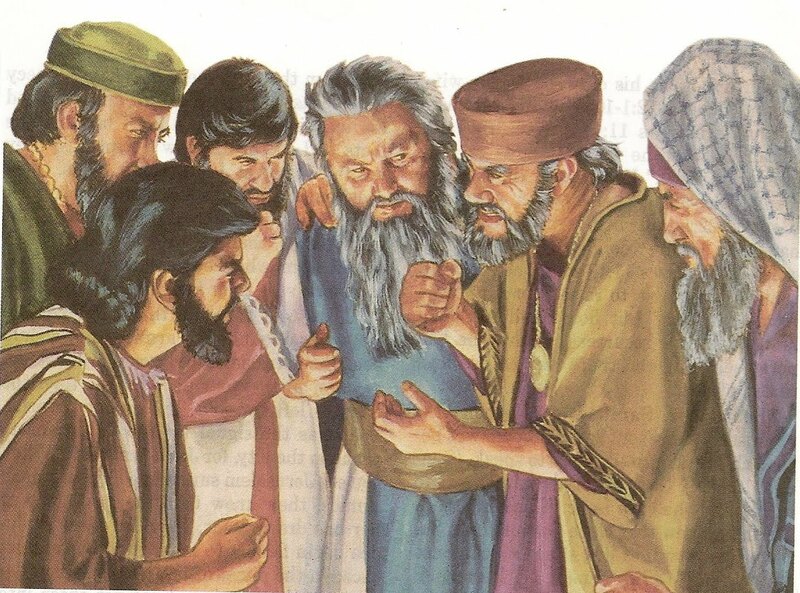 The Sanhedrin were only too pleased to provide him with some money for the opportunity to capture Him. It is important to note that Judas was the only non-Galilean member of the apostles. He may have actually been a spy for the Sanhedrin all along. This would give him some additional reason to believe that he remained an outsider. In actuality God was orchestrating the events using the sins of Judas as well as the religious authorities to accomplish His goal of providing the perfect sacrifice to cleanse the heavenly tabernacle and provide for the salvation of all of the human beings on this earth. The plan of God does not excuse the perpetrators sins even though God used them to accomplish His goal. Merrill Unger has observed a unique fusion of divine sovereignty and human free will in Judas as he carried out his own greed and animosity as well as God’s plan in the execution of Jesus. It is important to note that it was Judas who went to the Sanhedrin not the other way around. Nevertheless is it quite apparent that the divine grace of God uses even human evil for His saving purposes. The plan was set to capture Jesus at the perfect time. Until now Jesus was leaving the city of Jerusalem each night and spending the night in Bethany presumable with Martha, Mary and Lazarus. Now with Jesus staying in the city the authorities could capture Him at night without arousing the ire of the general population and thereby preserving the peace. While Jesus was addressing Peter, James, and John for sleeping and then asking them to continue to sleep Judas appeared with an armed mob of Romans as well as the chief priests, scribes and the elders. Consider who is arriving beside the betrayer Judas. The Romans, chief priests, scribes and the Sanhedrin (elders). 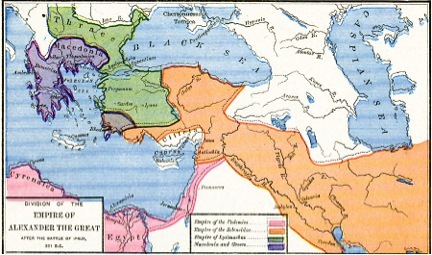 Even though the Romans had occupied Israel since the siege in 63 B.C. they allowed the standing government to conduct the affairs of state. The only activities for which the Romans sought to be involved were the collection of taxes and capital punishment. They maintained oversight in the death sentences so as to control potential riots, which would impair the Pax Romana (Peace of Rome) they sought to preserve. The Sanhedrin (elders) was the High Court of Justice, the Supreme tribunal of the Jews, and was known to number seventy-one members. They sat as judges in Israelite trials having legislative, executive and judicial powers. They constituted the national parliament as well as the other branches of government known to modern western governmental bodies. Their principle laws came from the Torah (first five books of the Bible), the rabbinic law known as the Talmud and the Mishnah. This group violated all their laws to arrest, charge, try and execute Jesus. It is important to see how people driven by envy and threatened will embrace hatred so strong that it surpasses their own stated values. These men clearly embraced the fleshly activities described in Galatians chapter five. 17 For the flesh lusteth against the Spirit, and the Spirit against the flesh: and these are contrary the one to the other: so that ye cannot do the things that ye would. 18 But if ye be led of the Spirit, ye are not under the law. 19 Now the works of the flesh are manifest, which are these; Adultery, fornication, uncleanness, lasciviousness, 20 idolatry, witchcraft, hatred, variance, emulations, wrath, strife, seditions, heresies, 21 envyings, murders, drunkenness, revellings, and such like: of the which I tell you before, as I have also told you in time past, that they which do such things shall not inherit the kingdom of God (KJV). Even before Jesus’ trial began the law was broken because His arrest was illegal. 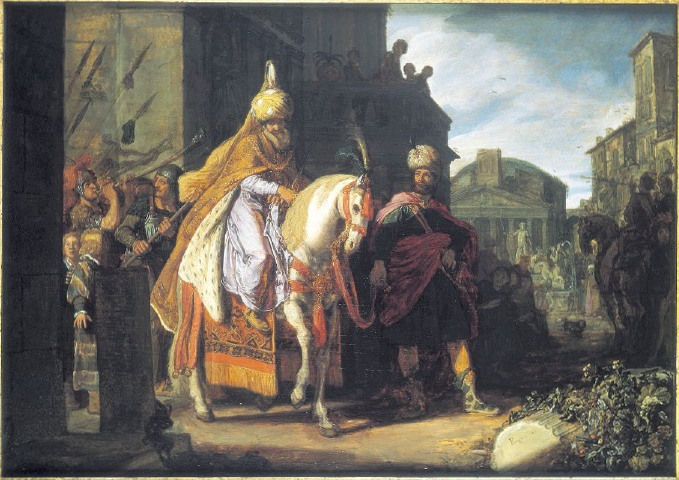 The Jewish law prohibited any part of a legal proceeding in capital offenses to take place at night, and Jesus was arrested at night. 44 And he that betrayed him had given them a token, saying, Whomsoever I shall kiss, that same is he; take him, and lead him away safely. 45 And as soon as he was come, he goeth straightway to him, and saith, Master, master; and kissed him (KJV). The token or sign that the Jews needed to signalize the moment to arrest Jesus would be a kiss. Judas had told the crowd to arrest the man to whom he would greet with a kiss. After they saw this they would lead Him away under guard. This was a Sanhedrin arrest not a Roman arrest. Jesus had not violated any Roman laws. Roman soldiers were there in case there was a riot. Judas pointed Jesus out through the common mid-eastern greeting of a kiss. This was not to identify Jesus but to certify that the one he kissed was Jesus as Judas had agreed to be His formal accuser in the trial and this was the legal process of certifying the relationship between the accuser and defendant for trial purposes. 46 And they laid their hands on him, and took him. 47 And one of them that stood by drew a sword, and smote a servant of the high priest, and cut off his ear. 48 And Jesus answered and said unto them, Are ye come out, as against a thief, with swords and with |clubs| to take me 49 I was daily with you in the temple teaching, and ye took me not: but the scriptures must be fulfilled. (KJV)? They did not arrest Jesus in the Temple all week as He was teaching, healing, and confronting the Jewish authorities and to a lesser extent the Herodians. Even though they wanted to apprehend Him they feared the people and a riot during the day (Mark 14:19). 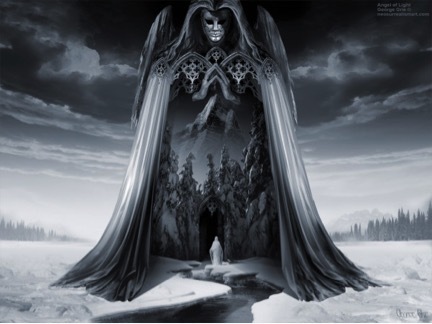 They instead in violation of their own laws came at night under the influence of the prince of darkness Satan himself. Jesus is then seized and it is anything but an orderly arrest based upon proper legal authorization. Mark does not identify the sword bearer but John’s gospel does (John 18:10-11). It was Peter who drew the sword and smote a servant (Malchus) of the high priest, and cut off his ear. Peter was probably trying to cut off Malchus’ head and missed displaying the fidelity to Jesus he stressed earlier that night. Luke records that Jesus miraculously healed the ear (Luke 22:51). John further goes on to describe Jesus’ words to Peter, “Put up thy sword into the sheath: the cup which my Father hath given me, shall I not drink it?” In other words Jesus declares these events as foreordained and must proceed. Then Jesus said to them, “Are ye come out, as against a thief, with swords and with |clubs| to take me?” Jesus did not resist them but offered a protest for the excessive display of armed force they brought against Him. He said they acted as though they came out against an armed robber. He was not an insurrectionist who acted in hiding but a recognized religious teacher. Every day that week He appeared openly among them in Jerusalem teaching (Mark 11:17) in the temple courts (Mark 11:11) but they did not arrest Him (Mark 12:12; 14:1–2). Arresting Him like a criminal at night in a secluded place showed their cowardice and uncaring attitude toward their own law. More importantly it clearly demonstrated that they did now know who He really was. But this happened because the scriptures must be fulfilled (Psalms 22:7-8, 14, 16-17; Isaiah 50:6, 53:3, 7–9, 12). 50 And they all forsook him, and fled (KJV). Just hours earlier they all swore to never deny Him led by Peter’s affirmation of willingness to die with Him. Now in the heat of the moment they all leave Him. 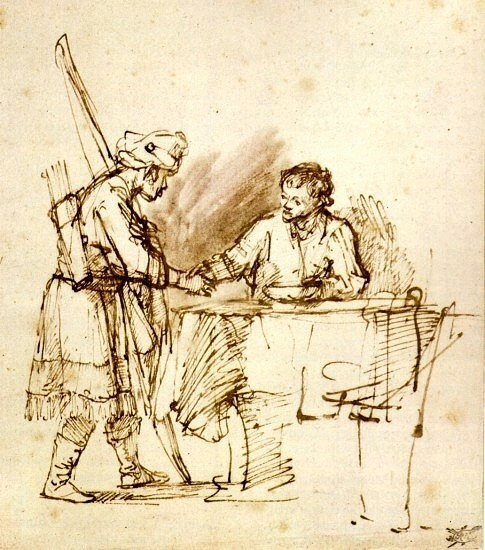 Judas betrays Jesus and the eleven desert Him. 51 And there followed him a certain young man, having a linen cloth cast about his naked body; and the young men laid hold on him: 52 and he left the linen cloth, and fled from them naked (KJV). Only Mark’s gospel offers this event, which gave, rise to the tradition that it probably was Mark himself that he described. Mark is the young man who also abandoned his mission work when the going got tough (Acts 13:13; 15:38). Later Barnabas brought him back into the mission (Acts 15:39), and Paul finally accepted him again (2 Timothy 4:11). Mark seems to be saying, “I ran away, too!” John Mark the author, Simon Peter the primary source shows a strong emphasis in this Gospel on discipleship failure and renewal. Peter and Mark both were involved in this. So it seems that this young man was about to be seized by the authorities too until they tried to grab him and only managed to get his nightshirt while he fled away naked. Therefore all of Jesus’ followers left Him to the men who hated Him. 53 And they led Jesus away to the high priest: and with him were assembled all the chief priests and the elders and the scribes (KJV). “An accused man must never be subjected to private or secret examination, let in his perplexity, he furnish damaging testimony against himself.” (Salvado in, “Institutions de Moise” pp. 365-366). The high priest’s private examination of Jesus was illegal even though the others. Jesus trial before the Jewish authorities included a preliminary hearing before Annas (John 18:12–14, 19–24) the former high priest (high priest AD 6-15) then an arraignment before Caiaphas (high priest AD 18-37) and the Sanhedrin at night (Matthew 26:57–68; Mark 14:53–65). Caiaphas was the first to recommend Jesus’ death to “save the nation (John 11:49-50).” John alone records the private interrogation, testifying: “The high priest then asked Jesus of His disciples and of His doctrine (John 18:12-24).” This interrogation, first by Annas the former high priest and then Caiaphas was illegal because it took place at night and was by a sole judge even though the chief priests and the elders and the scribes were there with Caiaphas. After Annas’ preliminary hearing Jesus was then taken to Caiaphas the current high priest’s home. 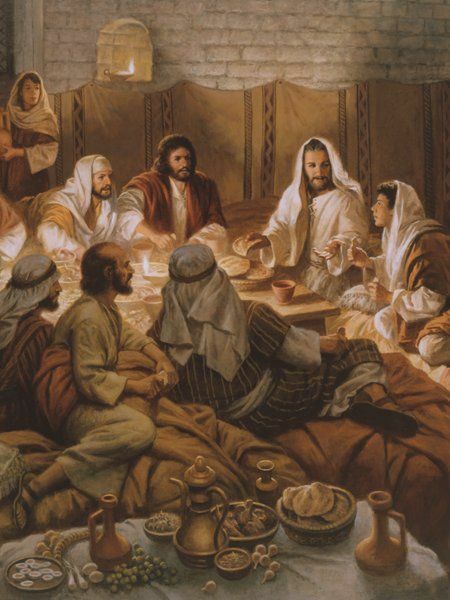 54 And Peter followed him afar off, even into the palace of the high priest: and he sat with the servants, and warmed himself at the fire (KJV). Although all had fled Peter and perhaps John too returned to the place where Jesus was taken (John 18:15). The high priest’s home was walled and gated with a courtyard. Here someone had lit a fire to warm themselves. Around it were guards and servants. Peter was warning his hands too. 55 And the chief priests and all the council sought for witness against Jesus to put him to death; and found none. 56 For many bare false witness against him, but their witness agreed not together (KJV). The Sanhedrin was “looking for” evidence against Jesus (v. 55); the Greek word “looking for” is zētein and it always implies negative intent. Here the intent to condemn Jesus. The prisoner’s record, however, provides no grounds for accusation (v. 55), and the Sanhedrin must resort to false testimony. The “many” false witnesses were coerced to testify to the determination of the Sanhedrin to dispatch Jesus. Jewish law demanded at least two corroborating witnesses in capital cases (Numbers 35:30; Deuteronomy 17:6; 19:15). They brought many witnesses but they are contradicted each other. Finally they found some witnesses to testify against Jesus with a lie regarding what Jesus had said about the Temple. They twisted what Jesus had said about His death and resurrection. If He had truly said anything about the material Jewish Temple the Romans would have charged Him with a capital crime. These witnesses could also not agree amongst themselves. 60 And the high priest stood up in the midst, and asked Jesus, saying, Answerest thou nothing? what is it which these witness against thee? 61 But he held his peace, and answered nothing. Again the high priest asked him, and said unto him, Art thou the Christ, the Son of the Blessed? 62 And Jesus said, I am: and ye shall see the Son of man sitting on the right hand of power, and coming in the clouds of heaven (KJV). Even though the authorities were violating the Law Jesus would not. He did not answer the first question but He will answer the second one. Jesus was put under oath (Matthew 26:63), which forced Jesus to answer under the Mosaic Law (Leviticus 5:1). Jesus would be forced to incriminate Himself by answering question two which was related to the Law. The condemnation sentence was pronounced against Jesus by the Sanhedrin and was founded upon His uncorroborated confession. “No attempt can be made to lead a man on to self-incrimination. Moreover, a voluntary confession on his part is not admitted in evidence, and therefore, not competent to convict him, unless a legal number of witnesses minutely corroborate his self-accusation.” (Mendelsohn in “Criminal Jurisprudence of the Ancient Hebrews” p.133). Jesus was convicted and condemned to death on legally inadmissible evidence. It was at first sought to condemn Him to death on legally inadmissible evidence, on the charge of sedition, “but their witness agreed not altogether” (Mark 14:56). But, instead of releasing Jesus, the judges, in total disregard of the law, turned to the accused and asked, “Answereth thou nothing? what is it these witness against thee? But He held His peace and said nothing” (Mark14:60). By remaining silent Jesus was invoking the right against self-incrimination. Caiaphas insisted that Jesus incriminate Himself. So Jesus in accordance with the Law in Leviticus 5:1 Jesus responded to Caiaphas’s question as Jesus’ deity. Jesus said, “And Jesus said, I am: and ye shall see the Son of man sitting on the right hand of power, and coming in the clouds of heaven. Jesus simply tells them who He is affirming Psalm 110:1 as the Son of Man sitting at God’s right hand and coming on clouds refers to Daniel 7:13-14; Acts 1:9-11; Revelation 19:11. 63 Then the high priest rent his clothes, and saith, What need we any further witnesses? 64 Ye have heard the blasphemy: what think ye? And they all condemned him to be guilty of death. 65 And some began to spit on him, and to cover his face, and to buffet him, and to say unto him, Prophesy: and the servants did strike him with the palms of their hands (KJV). By tearing his clothes, Caiaphas showed that he regarded Jesus’ admission as blasphemy. To him, Jesus’ words dishonored God by claiming rights and powers belonging exclusively to God along (Mark 2:7). His expression of horror and indignation was all symbolism, which was required of the high priest whenever he heard blasphemy. Since Jesus’ self-incriminated Himself there was no need for more witnesses. The Mosaic Law prescribed death by stoning for blasphemy (Leviticus 24:15–16). Without further investigation the high priest called for a verdict from the Sanhedrin. Since there were no objections they all condemned Him (Mark 10:33) as worthy of death. With this admission and faked expression of indignation by Caiaphas some members began to hit Him after they blindfolded Him. They spit on Him, struck Him with the palms of their hands and challenged Him to prophesy since He claimed to be the Messiah. 1 And straightway in the morning the chief priests held a consultation with the elders and scribes and the whole council, and bound Jesus, and carried him away, and delivered him to Pilate (KJV). The Sanhedrin issued their verdict at dawn (Mark 15:1; Matthew 27:1; Luke 22:66-71). The entire group of seventy men plus the high priest issued their guilty verdict and the charge was blasphemy. Since they tried Him illegally at night they sought to provide some semblance of legality by having the decision affirmed during the daylight and get the Romans approval for an execution. They knew that they had to take Him to Pontius Pilate. From him they would petition the approval to have the Romans execute Jesus so they carried him away, and delivered him to Pilate. The Romans required approval for all capital crimes so as to maintain the Pax Romana. Pilate was woken up to the sounds of an angry mob outside him home. A Roman governor could either affirm or rescind the Sanhedrin’s death sentence (John 19:10). If the Jewish verdict was rescinded, a new trial before a Roman court was ordered and scheduled. In that trial the Sanhedrin would have to prove that the defendant had committed a capital crime under Roman law not Jewish Law. The Sanhedrin conviction of blasphemy (Mark 14:64) was not a punishable charge according to Roman law. Because of that the Sanhedrin substituted a charge of treason, using Jesus’ acknowledgment that He was the Messiah into a traitorous political charge that He is “the King of the Jews” (Mark 15:2; Luke 23:2). They tired to convince the Romans that Jesus was a traitor who was stating that He was a “King” and therefore a potential insurrectionist and a threat to Rome and the Pax Romana. Pontius Pilate was a Roman Governor in Samaria and Judea (West Bank today) from A.D. 26-36 and Jerusalem was located within Judea. His normal residence was in Caesarea on the Mediterranean Sea but he was in Jerusalem for the Passover. 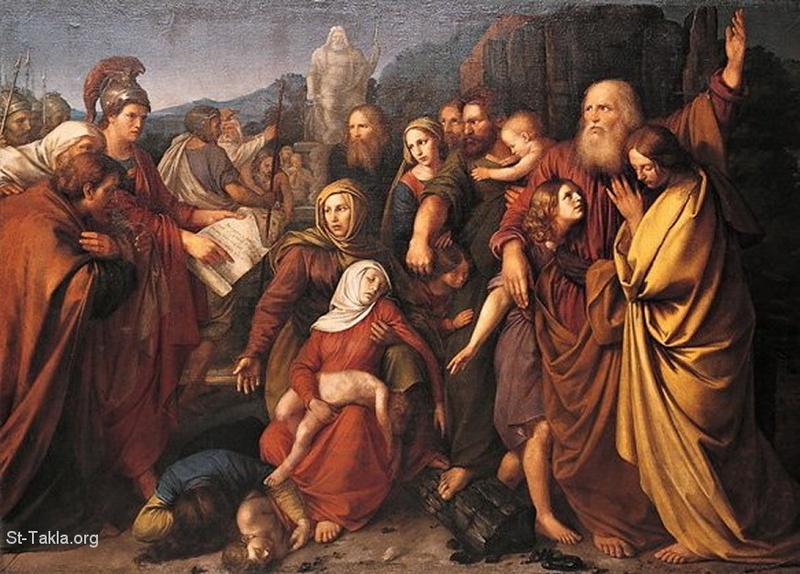 At that time there were thousands of Jewish pilgrims in Jerusalem. With the influx of worshippers there was a stronger chance of rioting that during other times of the year. Pilate stayed in a place called the Praetorium, which was his Jerusalem headquarters. He had no love of the Jews and the attitude was mutual. Consider the tension of this meeting as Jesus an innocent man is brought by Jews who hated Jesus as well as the Romans to the Roman governor who disliked the Jews for a decision to execute Jesus. 2 And Pilate asked him, Art thou the King of the Jews? And he answering said unto him, Thou sayest it. 3 And the chief priests accused him of many things: but he answered nothing (KJV). Now before Pilate with the new charge of traitor to Rome as the King of the Jews, And Pilate asked him, “Art thou the King of the Jews”? Pilate had complete and sole authority to render a decision. The trial would normally be held outdoors in public. It opened with a magistrate’s indictment and then interrogation and testimony from the witnesses and the defendant as well. As soon as the magistrate heard all the evidence he would render the verdict and immediately follow with a sentence, which would be carried out quickly. There was no appeal. The Sanhedrin had issued a death sentence for blasphemy but changed it to treason for Pilate. Pilate did not take the Sanhedrin’s sentence. He wanted to hear the testimonies himself. He asked Jesus directly if He was the King of the Jews. If this was true then this was a traitorous action that was underway against Caesar and had to be punished by death. Jesus answered in a rather cryptic way. Instead of saying yes He implied it. However His implication was that of the Spiritual King of a realm unknown to Pilate and the Sanhedrin as well (John 18:33-38). Pilate did not immediately see any criminal activity in this silent Jewish Rabbi in front of him. He could see that the Sanhedrin had a weak case and there was hardly any threat of this man inciting a rebellion against Rome. Now the chief priests accused him of many things to try and bolster their case against Him with Rome. Pilate knew the charges were weak and even false and he expected Jesus to say something in His own defense but he answered nothing as prophecied (Isaiah 53:7). Luke records their false charges. 2 And they began to accuse him, saying, We found this fellow perverting the nation, and forbidding to give tribute to Cesar, saying that he himself is Christ a King (KJV). 4 And Pilate asked him again, saying, Answerest thou nothing? behold how many things they witness against thee. 5 But Jesus yet answered nothing; so that Pilate marvelled (KJV). The religious leaders bring various charges against Jesus, which are not made clear here. 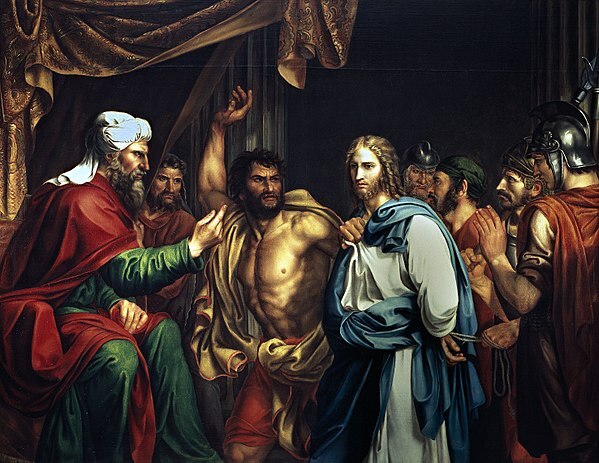 Pilate quickly figures out that this accusation and trial is not about Jesus’ guilt or innocence. It is about the jealousy and hatred of the priestly rulers, because Jesus is much more popular with the crowds than they are (v. 10). 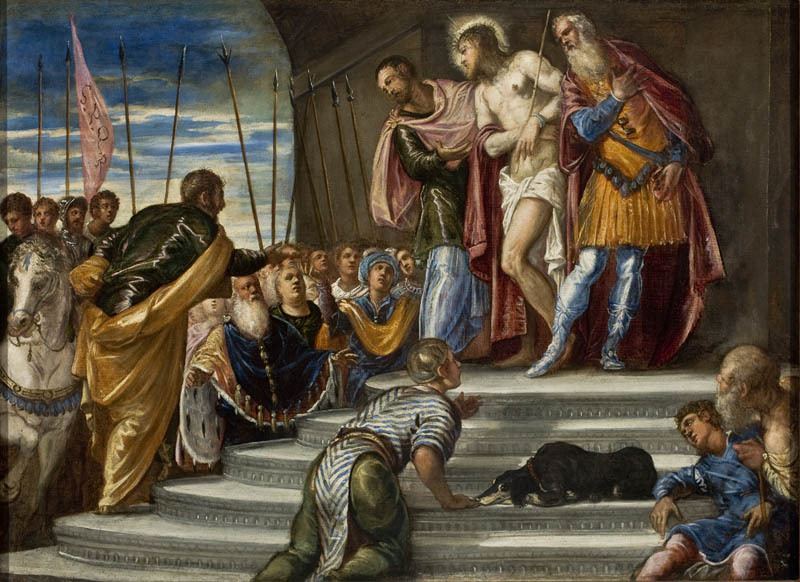 The charges themselves impress Pilate much less than Jesus’ confident silence in the face of his accusers (v. 5). Pilate continued to be amazed at Jesus remaining silent with so much envy and hatred directed toward Him. 6 Now at that feast he released unto them one prisoner, whomsoever they desired. 7 And here was one named Barabbas, which lay bound with them that had made insurrection with him, who had committed murder in the insurrection. 8 And the multitude crying aloud began to desire him to do as he had ever done unto them. 9 But Pilate answered them, saying, Will ye that I release unto you the King of the Jews (KJV)? 19 When he was set down on the judgment seat, his wife sent unto him, saying, Have thou nothing to do with that just man: for I have suffered many things this day in a dream because of him (KJV). In order to try and please the Jews somewhat the Romans had a practice of releasing one prisoner at Passover. The Jews had come to expect this and thought of it as “their custom” (John 18:39). This was no more than a goodwill custom of the Roman governor of Judea in furtherance of the Pax Romana over a conquered and occupied nation. Instead of granting Jesus an acquittal, Pilate chose to grant the customary Passover amnesty, thinking the people would request the release of Jesus. Together with Jesus in the Pretorium was a criminal named Barabbas (Hebrew from Bar Abba, “son of the father”). He was a known freedom fighter and murderer. He had stirred up much opposition toward Rome and was know as an insurrectionist. He was awaiting the order of execution from Pilate. While he was a criminal to Rome many of the Jews regarded him as a hero trying to throw off the yoke of enslavement of Rome over the Jews. 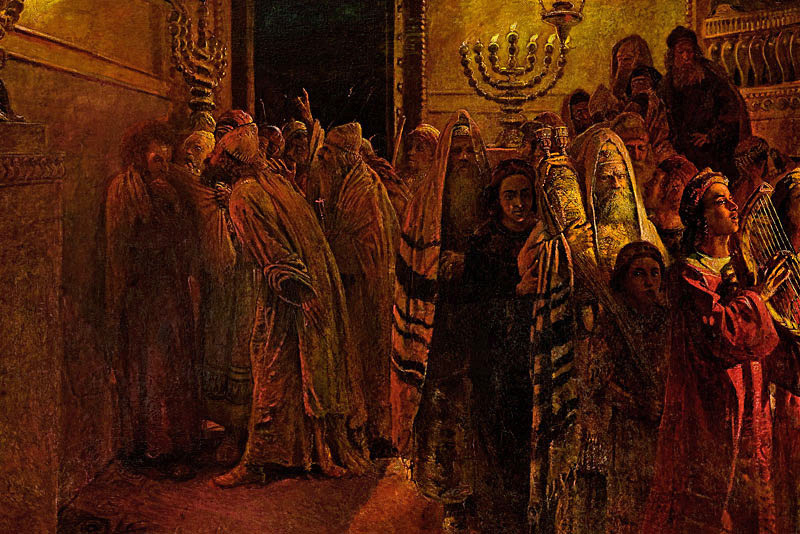 The crowd that had assembled at his palace though was the group of Jewish religious leaders that were not favorable toward Jesus and wanted to be rid of Him. He exposed their chicanery and the spiritual enslavement they put the common Jews under with their rabbinic law. They ignored the Mosaic Law and didn’t know God who they professed to represent in Israel. They also did not recognize the Messiah He sent (John 5:39-47). 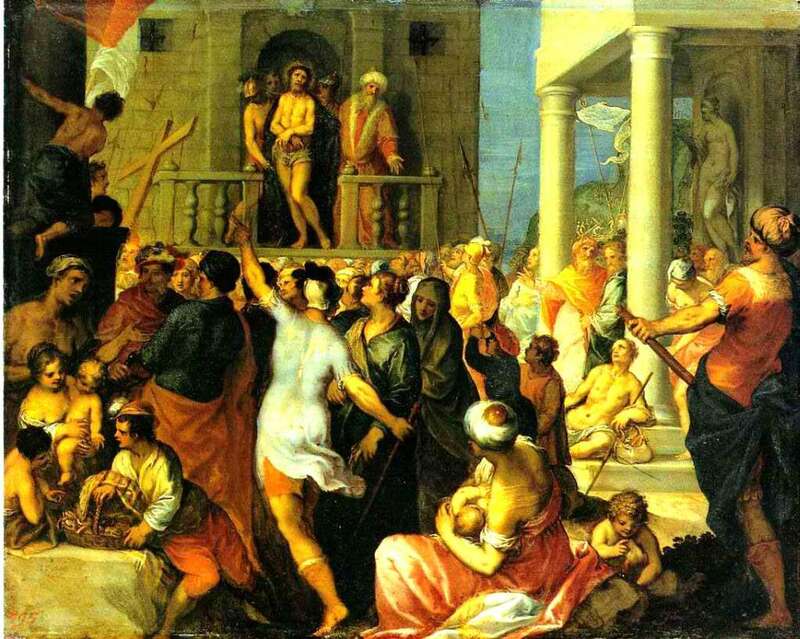 The crowd being incited by the chief priests was chanting for Pilate to release to them one criminal. They had come to see Jesus executed. Pilate wanting to not execute Jesus said, “Will ye that I release unto you the King of the Jews?” He did not expect or appreciate their response. 10 For he knew that the chief priests had delivered him for envy. 11 But the chief priests moved the people, that he should rather release Barabbas unto them (KJV). Pilate was well aware of the envy the chief priests had toward Jesus. Envy a strong motivator is grief or anger caused by another’s success. He took this opportunity to show his contempt for them by offering to release the King of the Jews but they chose Barabbas instead. 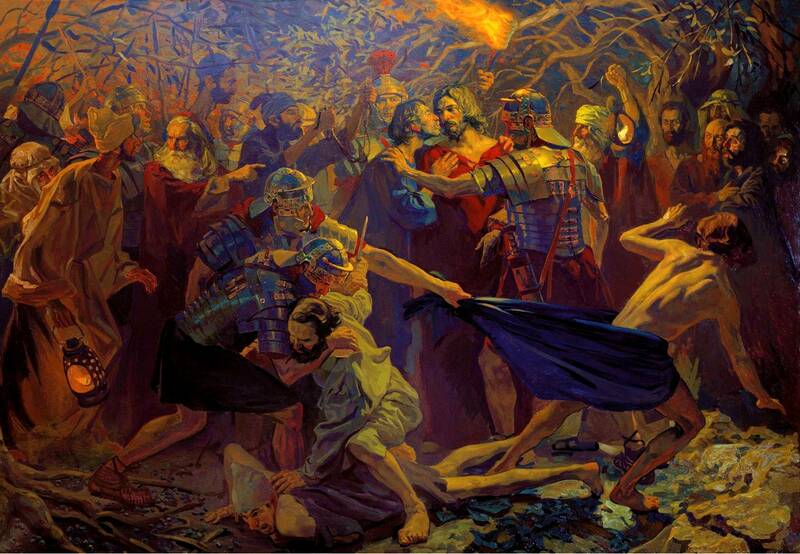 The powerful chief priests had incited the crowd to approach his judgment seat with their request to release Barabbas. In the trial before Pilate opposition to Jesus came largely from the Sanhedrin. The actual arrest and trial of Jesus, however, as this text explains, were the responsibility of the high priest. Mark is very specific and objective: the prime mover in Jesus’ trial and arrest is the high priest, who “stirred up” or incited the crowd to demand the release of Barabbas. 12 And Pilate answered and said again unto them, What will ye then that I shall do unto him whom ye call the King of the Jews? 13 And they cried out again, Crucify him. 14 Then Pilate said unto them, Why, what evil hath he done? And they cried out the more exceedingly, Crucify him. (KJV). Pilate was now in a quandary. He had the warning of his wife. He knew Jesus was innocent but did not understand why He chose not to defend Himself. In a sort of mocking to them he refers to Jesus as “him whom ye call the King of the Jews.” These verses show how Mark focused on the culpability of the religious leaders in Jesus’ execution. When their efforts to have Jesus killed appeared to be stopped by Pilate, the religious leaders persuaded the crowd to cry out loudly to crucify Him. This plot would never have worked with the huge crowds that loved and followed Jesus. It was only because He had been so popular that the religious leaders were prevented from moving against Him earlier. They had to conduct an illegal trial at night so that His supporters were unaware of what was transpiring (Mark 11:18; 12:12; 14:2). Their plot against Jesus was also aimed at placing the blame on the Romans. Pilate ruled as governor in an out of the way region, which according to Rome was of minor importance. They only provided him with a small army that put him at a disadvantage if the Jews actually rebelled. 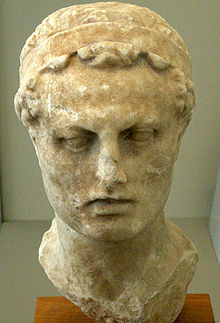 He had to do what ever he could to maintain the peace or incur the wrath of the emperor in Rome. Although he did not see any reason to kill Jesus he went along with them because they threatened to report him to Tiberius Caesar (John 19:12). If they did that and rioted his career would be severely limited or ended. Pilate did not need a riot at Passover with thousands of additional Jews in Jerusalem to add to his grief. In his frustration he asked them, “what evil hath he done? And they cried out the more exceedingly, Crucify him.” The irony of all of this is that Jesus will hang on a cross between two genuine insurrectionists and die as a substitute for one more, Barabbas. The only reason Jesus is there is because he is not one of them. Barabbas is one of them and this is the first person for which Jesus died as the substitionary Lamb that takes away the sins of the world. Matthew adds the fact of Pilate washing his hands in symbolic gesture of having no responsibility over this execution (Matthew 27:24-25). 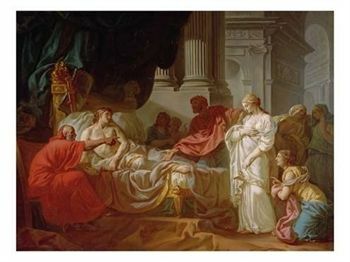 In fact the Jewish religious leaders take full responsibility for His death and affirm to pass it on to successive generations; then answered all the people, and said, “His blood be on us, and on our children.” In fact when Pilate asked the crowd if he should crucify their king they said, “We have no king but Caesar” (John 19:15). 15 And so Pilate, willing to content the people, released Barabbas unto them, and delivered Jesus, when he had scourged him, to be crucified (KJV). Jesus’ last of six trials ends with Pilate wanting to appease the angry crowds more than administer justice. If Pilate wanted to release Jesus it was not going to happen without causing a riot. He knew they had no sustainable charge against Jesus but he was wiling to satisfy them and crucify Jesus. So he washed his hands of the matter but would remain guilt ridden over this. As a true magistrate he had no good reason to crucify Jesus other than political appeasement of the crowd in avoidance of a riot and angering Caesar. So he released the criminal Barabbas and had Jesus flogged. Pilate had Jesus flogged in hope that the people would take pity and be satisfied. The flogging did not move them at all; they still insisted He be crucified (John 19:1–7). Flogging was done as a measure to accelerate the prisoner’s death on the cross. It was done with a multi-stranded whip. Into the ends were fastened pieces of metal or sharp bones or pottery. Typically several soldiers carried out the flogging and there was no limit on the length of the flogging. The person scheduled for execution seldom survived the flogging. In Jesus case He had to go to the wooden cross in fulfillment of a prophecy. Paul explains in Galatians. 13 Christ hath redeemed us from the curse of the law, being made a curse for us: for it is written, Cursed is every one that hangeth on a tree (KJV). Paul is referencing the Mosaic Law in Deuteronomy. As a direct result of the Nazi persecutions, on November 29, 1947, the United Nations General Assembly voted thirty-three to thirteen, with ten abstentions, in favor of a Partition Plan that created the State of Israel. On the same day, the General Assembly of the United Nations voted with a two-thirds majority to partition western Palestine into a Jewish and an Arab state. Over seventy five percent of the land allocated to the Jews was desert. Desperate to find a haven for the remnants of European Jewry after the Holocaust, the Jewish population accepted the plan, which accorded them a diminished state. The Arabs, intent on preventing any Jewish entity in Palestine, rejected it. “Engineering Evil” is a documentary recently shown on the Military History channel. It’s a story of Nazi Germany’s murder campaign before and during World War II. 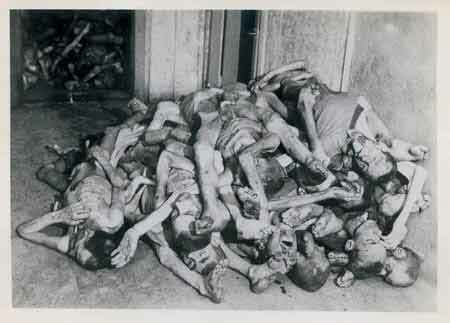 According to some estimates, 16 million Jews and other people died at the hands of Nazis (http://tinyurl.com/6duny9). 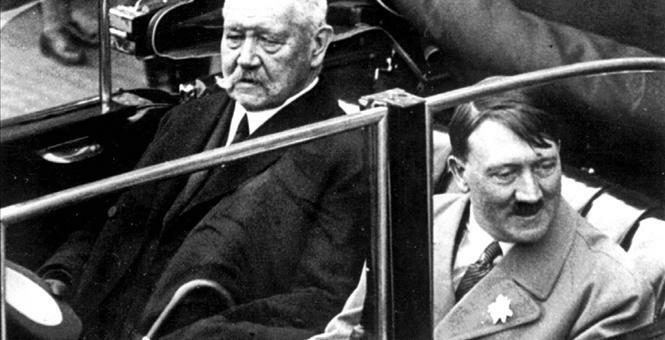 When Hitler came to power, he inherited decades of political consolidation by Otto von Bismarck and later the Weimar Republic that had weakened the political power of local jurisdictions. Through the Enabling Act (1933), whose formal name was “A Law to Remedy the Distress of People and Reich,” Hitler gained the power to enact laws with neither the involvement nor the approval of the Reichstag, Germany’s parliament. The Enabling Act destroyed any remaining local autonomy. The bottom line is that it was decent Germans who made Hitler’s terror possible — Germans who would have never supported his territorial designs and atrocities. The 20th century turned out to be mankind’s most barbaric. Roughly 50 million to 60 million people died in international and civil wars. As tragic as that number is, it pales in comparison with the number of people who were killed at the hands of their own government. Recently deceased Rudolph J. Rummel, professor of political science at the University of Hawaii and author of “Death by Government,” estimated that since the beginning of the 20th century, governments have killed 170 million of their own citizens. Top government killers were the Soviet Union, which, between 1917 and 1987, killed 62 million of its own citizens, and the People’s Republic of China, which, between 1949 and 1987, was responsible for the deaths of 35 million to 40 million of its citizens. In a distant third place were the Nazis, who murdered about 16 million Jews, Slavs, Serbs, Czechs, Poles, Ukrainians and others deemed misfits, such as homosexuals and the mentally ill.
We might ask why the 20th century was so barbaric. Surely, there were barbarians during earlier ages. Part of the answer is that during earlier times, there wasn’t the kind of concentration of power that emerged during the 20th century. Had Josef Stalin, Mao Zedong and Hitler been around in earlier times, they could not have engineered the slaughter of tens of millions of people. They wouldn’t have had the authority. There was considerable dispersion of jealously guarded political power in the forms of heads of provincial governments and principalities and nobility and church leaders whose political power within their spheres was often just as strong as the monarch’s. Professor Rummel explained in the very first sentence of “Death by Government” that “Power kills; absolute Power kills absolutely. … The more power a government has, the more it can act arbitrarily according to the whims and desires of the elite, and the more it will make war on others and murder its foreign and domestic subjects.” That’s the long, tragic, ugly story of government: the elite’s use of government to dupe and forcibly impose its will on the masses. The masses are always duped by well-intentioned phrases. After all, what German could have been against “A Law to Remedy the Distress of People and Reich”? It’s not just Germans who have fallen prey to well-intentioned phrases. After all, who can be against the “Patient Protection and Affordable Care Act”? We Americans ought to keep the fact in mind that Hitler, Stalin and Mao would have had more success in their reign of terror if they had the kind of control and information about their citizens that agencies such as the NSA, the IRS and the ATF have about us. You might ask, “What are you saying, Williams?” Just put it this way: No German who died before 1930 would have believed the Holocaust possible. Dr. Williams is the author of over 150 publications which have appeared in scholarly journals such as Economic Inquiry, American Economic Review, Georgia Law Review, Journal of Labor Economics, Social Science Quarterly, and Cornell Journal of Law and Public Policy and popular publications such as Newsweek, Ideas on Liberty, National Review, Reader’s Digest, Cato Journal, and Policy Review. He has authored ten books: America: A Minority Viewpoint, The State Against Blacks, which was later made into the PBS documentary “Good Intentions,” All It Takes Is Guts, South Africa’s War Against Capitalism, which was later revised for South African publication, Do the Right Thing: The People’s Economist Speaks, More Liberty Means Less Government, Liberty vs. the Tyranny of Socialism, Up From The Projects: An Autobiography, and Race and Economics: How Much Can Be Blamed On Discrimination?